Is Whole Milk Vs. Lactaid Milk Better for Babies? Lactose intolerance is common, and many parents worry that a colicky baby or toddler with an upset stomach might be allergic to lactose. 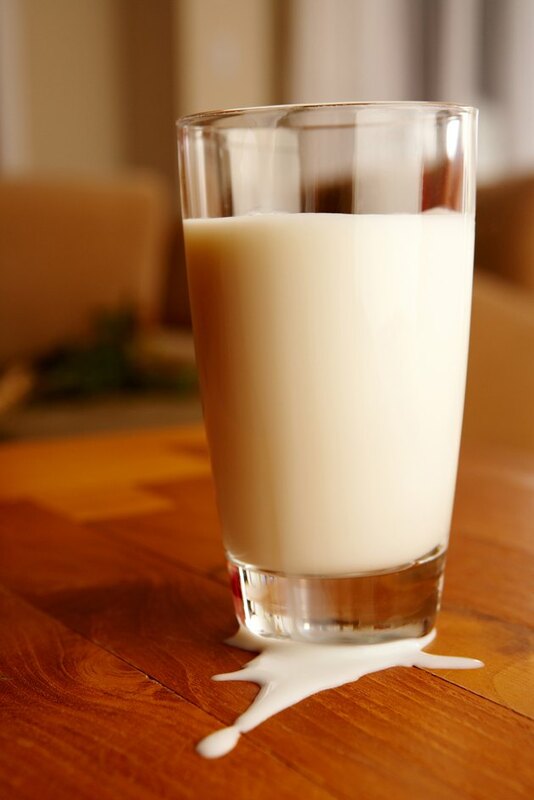 Other parents believe that, if they give their child a lactose-free milk, they will spare their child the difficulty of lactose-induced stomach pain. In most cases, however, Lactaid milk is not a good choice for babies. Whole milk may also prove a problematic choice for babies under some circumstances. If you're unsure whether to give your child milk, consult your pediatrician. The American Academy of Pediatrics advises that children under the age of 6 months should be exclusively breastfed. They can begin eating solids at 6 months but should receive the majority of their nutrition from breast milk or formula until the end of the first year. Consequently, children under 1 should be given neither whole milk nor Lactaid. If your child reacts poorly to formula or breast milk, consult your pediatrician. After a child's first birthday, milk provides valuable calcium and protein. The American Academy of Pediatrics recommends that children receive 16 to 24 oz. of whole milk each day. Children should never drink skim milk, but 2 percent milk is an acceptable choice for children who are at risk of obesity. Lactaid is not a good choice for children as a milk substitute. Pediatrician and author William Sears recommends that children with lactose intolerance should receive their calcium from other sources, such as yogurt and cheese. They may be able to tolerate the small amount of lactose in these foods. Lactaid is not beneficial to children and may cause stomach problems and decreased appetite. Some child health experts contend that children don't need milk at all. Even William Sears points out that children don't need milk to be healthy and can obtain calcium from other sources. For most of human history, people have stopped drinking milk in early childhood, and no other animal species drinks milk as an adult. The World Health Organization recommends that mothers breastfeed children at least until the age of 2. Children who are breastfed for an extended period do not need to be supplemented with cow milk. Can I Drink Lactaid Milk If I Am Not Lactose Intolerant?